Yadier Molina is putting up a late bid for a Hall Of Fame Career. He has significantly improved his offensive numbers over the last 4 years, while still being the quintessential backstopper in the MLB (Defense wise). This season, the 30 Year Old 3 Slashed .319/.359/.836 – with 12 HRs and 80 RBI in just 136 Games Played. Had he not been hurt, the guy could have won the NL MVP hands down. Molina is also clutch in his 272 Post Season AB Career, where he is .298/.357/.752. The Cards have him locked up until 2018. 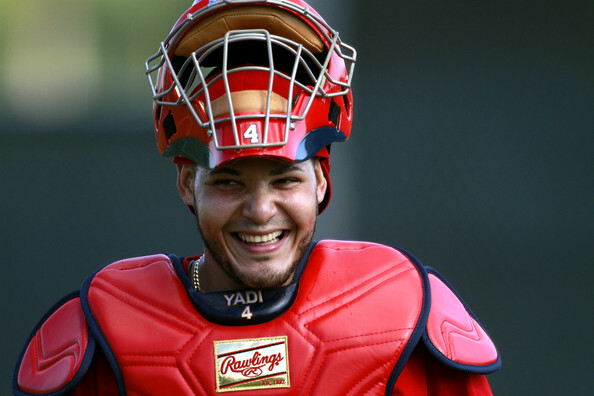 Yadier Molina (31) C: Drafted by the St. Louis Cardinals in the 4th round of the 2000 amateur draft. Absolutely brilliant Catcher, and has an outside chance to be Hall of Famer, if he can put up some decent numbers over the course of the next 4 years. Molina has already racked up 5 Straight NL ALL – Star Appearances – and 4 Straight Gold Glove Awards. Allen Craig (29) 1B: Drafted by the St. Louis Cardinals in the 8th round of the 2006 amateur draft. Craig has 3 Slashed for .306/.358/.850 in his 1291 AB during his career thus far. When you think that is just about 2 years worth of AB, it is incredible to see he has 50 HRs and has 247 RBI already in that time frame. Plain awesome for an 8th Round Draft Pick. Matt Carpenter (28) 2B/3B/1B: Drafted by the St. Louis Cardinals in the 13th round of the 2009 amateur draft. This guy was as good as it gets this campaign – and registered a 4th place NL MVP Vote last year. Carpenter led the NL In Hits (199), 2B (55) and Runs Scored (126) during 2013. Pete Kozma (26) 2B/SS: Drafted by the St. Louis Cardinals in the 1st round (18th pick) of the 2007 amateur draft. Kozma has struggled at times in his big league Career. He will be swallowed up by the young guys coming up. A Career 3 Slash of .232/298/.606 is not good enough. Is not often the St. Louis brass has been wrong on a guy. Peter Bourjos (27): OF: November 22, 2013: Traded by the Los Angeles Angels of Anaheim with Randal Grichuk (minors) to the St. Louis Cardinals for David Freese and Fernando Salas. Fernando Salas (28) RP: April 5, 2007: Purchased by the St. Louis Cardinals from Saltillo (Mexican). Grichuck may be a future OF one day..This trade has yet to have enough sample size of stats to be determined. David Freese (31): 3B: December 14, 2007: Traded by the San Diego Padres to the St. Louis Cardinals for Jim Edmonds. Freese coming back to the Cards for CF Jim Edmonds is a complete steal. Not only was Freese the MVP In the 2011 NLCS, but also the World Series. The man has an OPS north of 1.100 for the NLCS and World Series combined. The club is 6 – 1 for the Series that he has played in so far. JIm Edmonds only hit .178 – with 1 HR for the Padres. He actually did some damage when he later signed with the Cubs in 2008, however for these purposes, the Cards ripped off San Diego for Freese. Jim Edmonds (44) OF: March 23, 2000: Traded by the Anaheim Angels to the St. Louis Cardinals for Kent Bottenfield and Adam Kennedy. Edmonds was awesome during his career with St. Louis: he 3 Slashed for.285/.393/.947 – with 241 HRs and 713 RBI in 8 seasons. The Left Handed Slugger won 6 straight Gold Gloves, a Silver Slugger, and was an ALL – Star 3 times over. Edmonds added 13 HRs and 41 RBI for the Cards during his 220 AB, good to help them win the 2006 WS – and appear in another (2004). He twice clubbed over 40+ HRs, added 100+ RBI in the same years (2000 and 2004) – and finished in the top 5 for NL MVP Voting during those campaigns. Kennedy did play masterfully during the 2002 World Series run for the Anaheim Angels, and did Slash .280/.332/.734 over 992 Games for the California club, but in comparison to Edmonds, it still was not close. When Kennedy was up for Free Agency in 2006, he came back to the club for a 2nd stint – that lasted during 2007 and 2008. Bottenfield struggled for a half of a year in 2000, before being traded for Ron Gant at the Trade Deadline. Adam Kennedy (37) 2B/3B/1B: Drafted by the St. Louis Cardinals in the 1st round (20th pick) of the 1997 amateur draft. 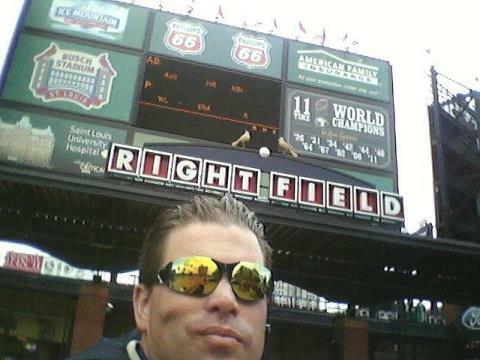 Kent Bottenfield (44) SP: January 8, 1998: Signed as a Free Agent with the St. Louis Cardinals. Jon Jay (28) CF: Drafted by the St. Louis Cardinals in the 2nd round of the 2006 amateur draft. Matt Holliday (33) OF: July 24, 2009: Traded by the Oakland Athletics to the St. Louis Cardinals for Clayton Mortensen, Shane Peterson and Brett Wallace. Holliday signed a 7 YR/$119 MIL extension with the Cardinals. In 5 Years with the team, he has Slashed .306//389/.909 – with 112 HRs and 429 RBI in 2759 AB. He is the meat of their lineup right now. Holliday is still waiting for that signature moment in the playoffs for St. Louis. Clayton Mortensen only started 7 Games for Oakland – before being traded for a Minor League Player. Shane Peterson has spent all but 7 AB in the Minor Leagues thus far for Oakland. Brett Wallace was traded for Michael Taylor. Michael Taylor, while not part of this deal, has not performed. The Cardinals were the clear winners in this transaction. That is saying a lot, because Billy Beane usually wins. This sort of makes up for the horrendous trade they pulled with the A’s for Mark Mulder. Clayton Mortensen (27) RP: Drafted by the St. Louis Cardinals in the 1st round (36th pick) of the 2007 amateur draft. 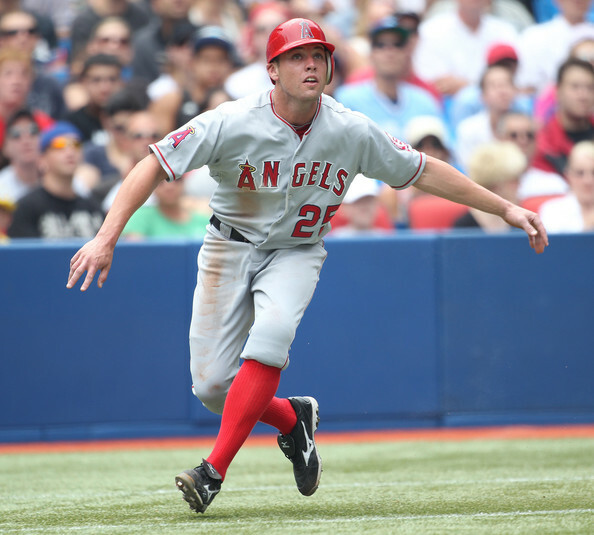 Shane Peterson (25) 1B: Drafted by the St. Louis Cardinals in the 2nd round of the 2008 amateur draft. Brett Wallace (27) 1B/3B: Drafted by the St. Louis Cardinals in the 1st round (13th pick) of the 2008 amateur draft. Daniel Descalso (26) 3B/2B/SS: Drafted by the St. Louis Cardinals in the 3rd round of the 2007 amateur draft. Descalso has been a decent Utility Infielder, .243/.310/.655 in parts of 4 years with St. Louis. Matt Adams (25) 1B/PH: Drafted by the St. Louis Cardinals in the 23rd round of the 2009 amateur draft. .275/.324/.801 in 382 AB, 19 HRs and 64 RBI so far. Adams filled in with 6 hits and a key HR for Allen Craig at 1B in the 2013 NLDS. Shane Robinson (28) OF/PH: Drafted by the St. Louis Cardinals in the 5th round of the 2006 amateur draft. Mark Ellis (37): The organization signed him to a 1 YR/$5.25 MIL before the start of the 2014 season. While currently on the DL, he is great insurance as 2B in case Kolten Wong should struggle. Jhonny Peralta (32): November 24, 2013: Signed as a Free Agent with the St. Louis Cardinals. 4 YRs/$53 MIL. Having Jhonny Peralta man the SS position in 2014, should serve as a considerable offensive upgrade over Descalso and Kozma from 2013. The 32 Year old hit for a 3 slash of .275/.332/.433 during his 3 year run with the Motown Boys. Those numbers are more appropriate for the guy compared to the .303/.358/.457 he posted in a PED suspension year. 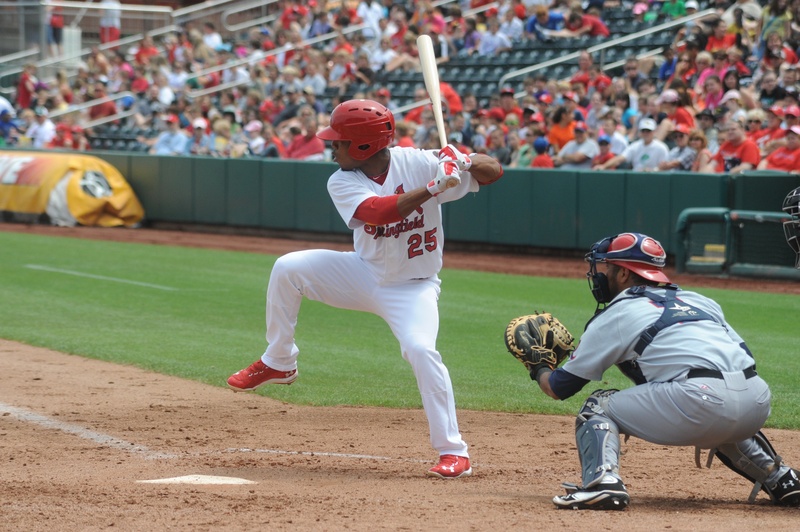 Tony Cruz (27) C/PH/1B: Drafted by the St. Louis Cardinals in the 26th round of the 2007 amateur draft. .236//271/.602 in 314 Career AB as Yadier Molina’s backup. Kolten Wong (24) 2B/PH: Drafted by the St. Louis Cardinals in the 1st round (22nd pick) of the 2011 amateur draft. This guy will be a mainstay of the future. Ranked #84 Prospect by Baseball America. Wainwright has been money in the bank since the club acquired him. He is 99 – 57 (.635) with a 3.11 ERA. Wainwright will be considered for another NL Cy Young, which will likely mean a top 5 vote for the 3rd time in 4 years. The RHP has led the NL in wins 2x (2009 and 2013). He also has a 4 – 0 mark in PostSeason – with a 2.03 ERA in time both as a Closer – and as a Starting Pitcher. The club extended him early this season to a 5 YR/$97.5 Deal – that will make him a Cardinal until 2018. Not bad for only losing 1 year of J.D. Drew. Adam Wainwright (31) SP: December 13, 2003: Traded by the Atlanta Braves with Ray King and Jason Marquis to the St. Louis Cardinals for J.D. Drew and Eli Marrero. Ray King was 9 -6, with a 2.91 ERA in 102 Appearances for the Cardinals. Jason Marquis was 42 – 37, with a 4.60 ERA for the Cardinals. J.D. Drew only played one season in Atlanta. where he hit .306, with 31 HRs and 95 RBI, but then he fled to Los Angeles after. Eli Marrero had a career year in 2004 hitting .320, with 10 HRs and 40 RBI in 250 – but the Braves traded him for a player that would only get them 7 games in the Majors. The Cardinals trucked Atlanta in this chain. Ray KIng (39) RP: December 7, 2005: Traded by the St. Louis Cardinals to the Colorado Rockies for Larry Bigbie and Aaron Miles. When they traded him to Colorado, he was never the same. Aaron Miles had a .288 BA and 391 Hits for St. Louis in his time. Larry Bigbie only had 1 RBI with St. Louis. Winner was still the Cardinals because of service time that Miles provided. Larry Bigbie (35) LF : October 31, 2006: Granted Free Agency. Aaron Miles (36) 2B/3B/SS; December 12, 2008: Granted Free Agency. Jason Marquis (35) SP: October 31, 2006: Granted Free Agency. J.D. Drew (37) RF: June 2, 1998: Drafted by the St. Louis Cardinals in the 1st round (5th pick) of the 1998 amateur draft. Player signed July 3, 1998. Eli Marrero (39) C/1B/PH: Drafted by the St. Louis Cardinals in the 3rd round of the 1993 amateur draft. Lance Lynn (28) SP: Drafted by the St. Louis Cardinals in the 1st round (39th pick) of the 2008 amateur draft. Lynn, while carrying a 3.82 Career ERA in 86 Games, is 34 – 18 (.654) so far. Shelby Miller (22) SP: Drafted by the St. Louis Cardinals in the 1st round (19th pick) of the 2009 amateur draft. Shelby Miller was 15 – 9, with a 3.06 ERA this year as a rookie. He will get some votes for the NL Rookie Of the Year. February 6, 2014: Signed as a Free Agent with the St. Louis Cardinals. Joe Kelly (25) SP: Drafted by the St. Louis Cardinals in the 3rd round of the 2009 amateur draft. Michael Wacha (25) SP: Drafted by the St. Louis Cardinals in the 1st round (19th pick) of the 2012 amateur draft. (This was compensation for the Angels signing Albert Pujols. Wacha has been a savior for the Cardinals this season. He is coming up huge at all points. Wacha almost threw no – hitters in back to back starts during 2013. Albert Pujols. (34): Drafted by the St. Louis Cardinals in the 13th round of the 1999 amateur draft. Jaime Garcia (26) SP: Drafted by the St. Louis Cardinals in the 22nd round of the 2005 amateur draft. Even though he was injured, Garcia is 39 – 25 (.609) with a 3.09 ERA so far with the big club. This guy slipped through the hands of the Red Sox – and now is the 38th best Prospect as ranked by Baseball America. Martinez is on the Post Season club, and has authored 2 scoreless Appearances – spanning 1.2 IP versus the Dodgers. Trevor Rosenthal (23) RP: Drafted by the St. Louis Cardinals in the 21st round of the 2009 amateur draft. 13.2 IP straight of Scoreless Baseball yielded in the Post Season – is a great way to enamor yourself to the St. Louis fanbase. Like so many of their great Pitchers, he could be a Starter or Reliever. Kevin Siegrist (24) RP: Drafted by the St. Louis Cardinals in the 41st round of the 2008 amateur draft. Nobody has even noticed this guy threw a 0.45 ERA in 39.2 IP during the 2013 Campaign. Now you can add 2 more scoreless Innings in the Post Season. 2 Earned Runs is all this guy has allowed in 41.2 IP worth of work in this year. Randy Choate (38) RP: December 7, 2012: Signed as a Free Agent with the St. Louis Cardinals. Keith Butler (25) RP: Drafted by the St. Louis Cardinals in the 24th round of the 2009 amateur draft. Jason Motte (31) RP: Drafted by the St. Louis Cardinals in the 19th round of the 2003 amateur draft. Posted on April 4, 2014, in The Rest: Everything Baseball and tagged 2002 World Series, 2004 World Series, 2006 World Series, 2011 NLCS, 2011 World Series, 2012 nlcs, 2013 NLCS, aaron miles, adam kennedy, adam wainwright, Adron Chambers, albert pujols, anaheim angels, Atlanta Braves, baseball america, brett wallace, carlos beltran, Carlos Martinez, chris carpenter, clayton mortensen, cleveland indians, colorado rockies, Corey Kluber, Daniel Descalso, david freese, Edward Mujica, Eli Marrero, fernando salas, J.D. 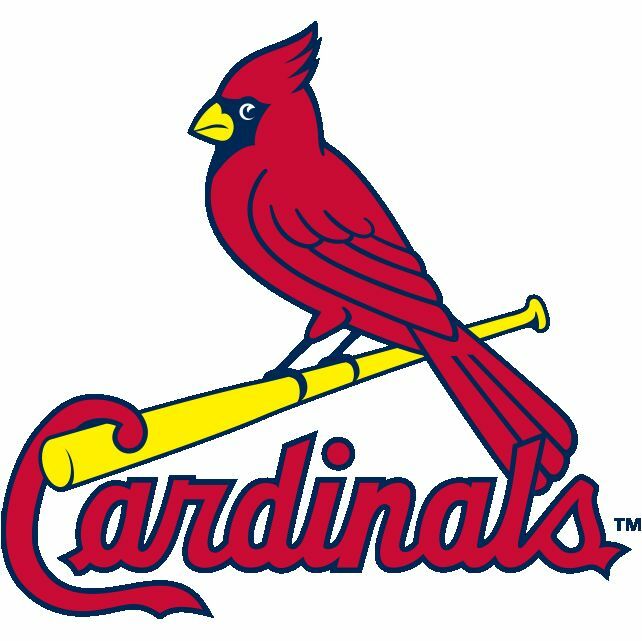 Drew, Jaime Garcia, jake westbrook, jason marquis, jhonny peralta, jim edmonds, joe kelly, john axford, john gast, jon jay, jorge vasquez, kent bottenfield, kevin butler, kevin siegrist, kolten wong, lance lynn, larry bigbie, mark Mulder, Matt Adams, matt holliday, memphis PCL, miami marlins, Michael Blazek, michael taylor, michael wacha, milwaukee brewers, Nick Greenwood, NL Central, oakland athletics, oscar taveras, peter bourjos, pittsburgh pirates, randal grichuck, randy choate, ray king, Rob Johnson, ron gant, ryan ludwick, sam freeman, seattle mariners, seth maness, Shane Peterson, Shane Robinson, shelby miller, st. louis cardinals 25 man roster, st. louis cardinals 40 Man roster, Tony Cruz, trevor rosenthal, Ty Wigginton, tyler lyons, yadier molina, zack cox. Bookmark the permalink. Leave a comment.